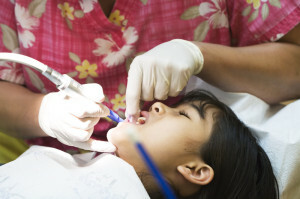 Choosing sedation for your dental appointment can be due to one or many different reasons. Here at Reem Kidess, DDS, PLLC, Scottsdale dentistry office, from your first interaction with us, you are greeted by dental professionals, sedation dentistry in Scottsdale professionals, at our sedation dentistry Scottsdale office, where we approach every patient as a unique individual with specific needs and wants, which is why you should only consult with a professional sedation dentist Scottsdale has. We understand that sedation dentistry Scottsdale may be an absolute requirement for the dental phobe. Let me give you a true example from personal experience, as a Sedation dentistry Scottsdale practicing dentist, I have seen many patients who have avoided seeing a dentist for years, and the longest was Mr. A, who waited 35 years. Mr. A had a “horrid” (his word) childhood dental experience, he hated everything about the dentist, the smell of a dental office, the sounds, the needle and it took him being in excruciating pain and seeing and feeling his teeth become mobile to come in to see me – even then at his first consult visit he would not let me do anything more than just look in his mouth. Under IV sedation, here at our sedation dentistry Scottsdale office, we were able to treat Mr. A, not only get him out of pain, but also back to having a healthy mouth within one month, and 3 visits, only 2 of which required sedation, because on his third visit, at our Scottsdale dentistry office, he actually let me treat him with just Nitrous Oxide (laughing gas) vs. IV sedation. Of course, this is an extreme dental phobe case, and for some it may be the fear of the needle, or of a strong uncontrollable gag reflex, or a back injury that makes sitting in the dental chair agonizing for more than a few minutes at a time. For others it just maybe the idea of sitting in the dental chair for hours and hours to get an extensive treatment plan completed. Here at our sedation dentistry in Scottsdale office, there are options, from mild to stronger forms of sedation, from distractions like watching a movie with noise cancelling headphones while you are in the dental chair, to Nitrous Oxide just while you get the “shot”, up to IV sedation where you have ZERO memory of the procedure, and a 5 hour appointment actually felt like minutes. Dental sedation options. Dr. Kidess is a Board Certified Sedation Dentist Scottsdale clients can rely on, and our entire team has been highly trained to make sure that your sedation dentistry Scottsdale treatment is completed in a safe and comfortable setting, that will give you the healthy and gorgeous smile you deserve.